This letter offers a great deal of personal insight into Paul's life that is not present in any other New Testament book. 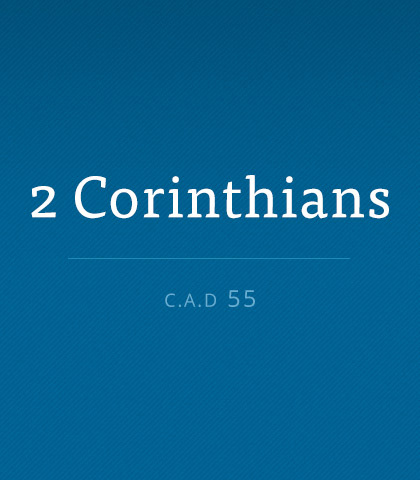 Read more about the book of Second Corinthians. Instead, it will be a judgment to determine our rewards based on how well we have followed Christ. On that day, Jesus will examine and reveal our motives and the quality of our service. Here is a great story of reconciliation. It beautifully illustrates how broken relationships can be restored by building bridges to one another…instead of fencing each other off. Over the years, though, I've come to realize it's important to be honest with our children when they ask those hard questions that don't have straightforward answers. So much of what happens in life is beyond our comprehension. But if we had all the answers we wouldn’t need faith. It’s in the uncertainties and mysteries of life our faith is strengthened. Nothing new is ever like it was. If you’re going through some difficult changes, keeping your sense of humour is critical. Unless we view Bethlehem from the perspective of the cross, most of what we sing and celebrate at Christmas amounts to glorying in the cradle, not the cross.